From software testers to marketers, customer journey experts and influencers. "Crowdsourcing is a great way to seek real opinions from your real user base, if you manage it properly it can create a huge competitive advantage"
Crowdville has completely changed my approach to everyday life… Nowadays, I find bugs everywhere! It’s a nightmare! Jokes aside, testing apps and services before anyone else and being part of a passionate, likeminded community is priceless. I participate to Crowdville as it gives me the opportunity to try out new apps and services and making friends on Crowdville’s online community! As a student, it gives me a competitive advantage on my colleagues when talking about increasing my skills to strengthen my professional profile. I’m constantly learning and broadening my horizons on Crowdville. It feels like I never stop! Making money, having fun and inspiring others to believe in what you can create – this sums up my 4 years of testing on Crowdville. The ultimate goal of the crowdsourcing best practice is to create best in class processes, ideas and methods in order to inspire other crowdsourcing teams all over the world. The crowdsourcing best practice in Clariter is one of the most important areas because it manages every single service involving the crowd. Building a community doesn’t mean just recruiting people. One of the challenges of crowdsourcing companies is to retain current members and attract new talents in order to give clients results worth a competitive advantage against their competitors. Attracting talents and retaining members is possible just through cutting-edge technology, innovative processes, motivating rewards and gamification plans and constant innovative plans and learning initiatives. Graduated with distinction at both Bachelor’s and Master’s Degree in Economics and Management, from the Tor Vergata School of Economics. Manuel joined the Clariter team in 2014 as a strategy and Operations Director and during his 4+ years of experience he is building strong analytical, financial and management expertise with broad business understanding to identify and implement opportunities that improve business and financial performance. Manuel oversees all operations and projects, leads improvements and optimises processes. He brings strong expertise through his long working experience on crowdsourcing models and knowledge of the digital market, also thanks to his master’s dissertation on Digital Transformation and Crowdsourcing. His mission is to shape the future of the company and help drive business expansion. Graduated in Public Relations and Corporate Communication, Tommaso is working for Clariter since 2015. He has started off his career by working between Italy, Thailand and United Kingdom where he built extensive knowledge of digital marketing in the two different continents. Tommaso has grown the Clariter Community from a few hundred users to thousands of passionate crowders in a matter of a few months. He is very passionate about digital marketing and his goal is to contribute to people success by using digital platforms, Crowdville is one of them! 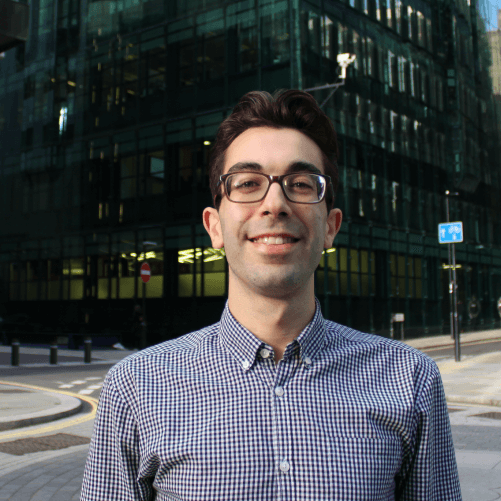 Tommaso is also a career consultant since university, when he created his iTalentJob project. He has also been nominated as a Crowdsourcing Ambassador for the international organisation Crowdsourcing Week in August 2015. The job of the Community Management team (CM) is to motivate community members – or crowders – who earn money by participating in weekly campaigns on our crowdsourcing platform, Crowdville. Being a Community Manager at Crowdville is both exciting and hugely rewarding. Every day thousands of crowders share ideas, ask questions and help each other out on our internal social network, and the CM team have the responsibility of making this as engaging as possible. Keeping our crowders engaged is what we strive for, and we do this by acting as the human face of the platform, publishing online courses, and by encouraging fresh ideas on crowdsourcing. Some of the daily activities performed by the CM team include recruiting crowders, profiling the community based on socio demographic criteria and different skills and qualifications, reaching goals for each mission performed, on-boarding and supporting crowders. The CM team also manages an entire social network dedicated to its community, called Otium. On Otium the CM team creates content, supports crowders, keeps them entertained and informed with everything that happens in Clariter and at the end, educates crowders by delivering tailored online courses. 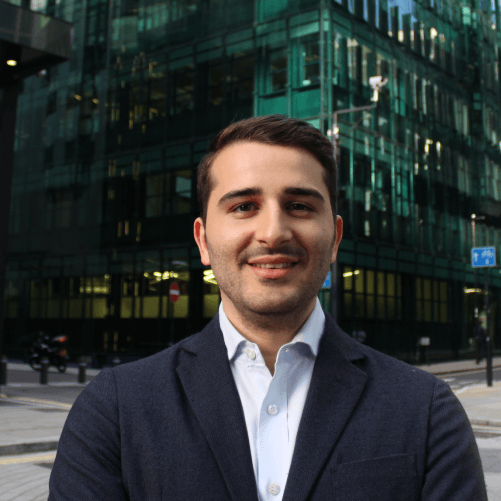 Graduated with a Bachelor’s degree in Communication Sciences and a Master’s degree in Digital Marketing Management Claudio is working for Clariter since 2017. 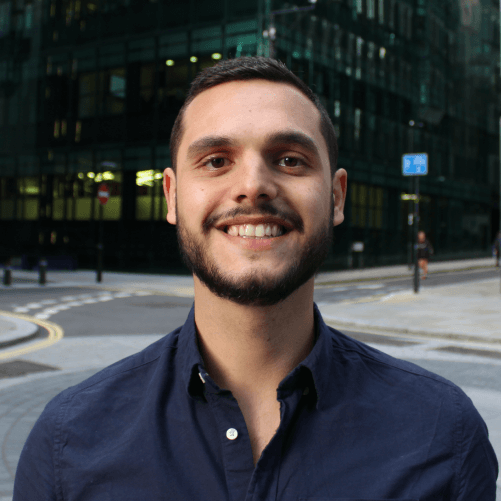 Claudio moved to London in the same year where he has built his skills starting as a junior digital marketing manager in an event management company. In Clariter where he helped establishing the Italian community to his higher standards. He now manages the crowders of the Portuguese Community. Graduated with honors in Communication Strategies at the University of Padua in June 2016 with a dissertation on the economic and production aspects of Italian craft beer. 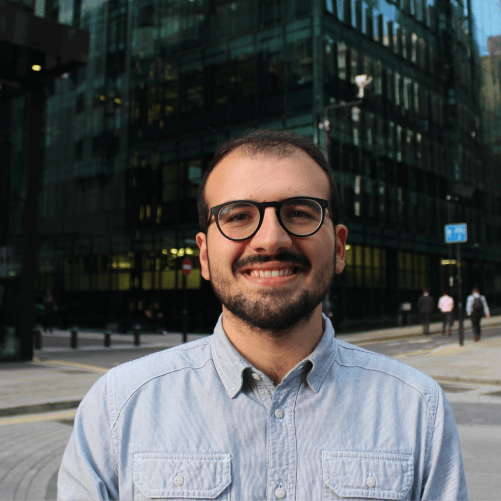 Denis is working for Clariter since November 2017 and now his goal is to establish best practices for community Management in the consolidated Italian Community. Also nominated to participate as a Digital Strategist to “The Digital Team of Inspiring PR”, annual event organised by Ferpi Triveneto in 2014 and 2015. Graduated from the University of Kent with a Bachelor’s Degree in French and Spanish. 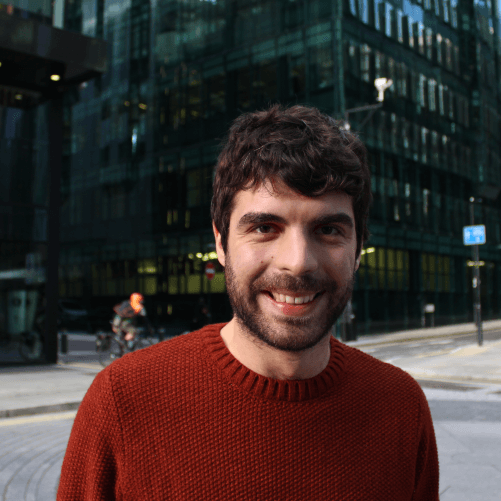 He is working for Clariter since May 2018, date when he started building the UK Community from zero. He consolidated his skills from his previous experience in the charity and the automotive sectors. Alex has contributed to expanding Clariter to the UK with partnerships and brand awareness digital campaigns. He is passionate about advertising, Sports and travel. The Operations Management (OM) team develop a level of best practice that ensures we maintain a smooth, efficient service that meets the expectations and needs of both customers and clients. The job of an Operations Manager involves translating technical ideas and instructions to teams of people, clients, directors and investors. To organise and launch missions, OM break down the tasks before putting a plan into place. It’s their responsibility to put the plan into effect, forecast problems, and find workable solutions along the way. This is an increasingly challenging task since both clients and crowders need to be satisfied with the outcome. OM play a key role in budgeting, controlling costs and keeping the organisation on track financially. Their management helps minimise costs and maximise results through budget forecasts and mission reports. Cost-benefit analysis is a big part of what they do to improve efficiency with each passing mission. The OM team is also responsible for new service design, where they are required to manage innovation as an integrated business process. Services are created through a complex mix of market research, study of scientific papers and clients and data analysis. Service design involves clearly defining processes, responsibilities, and results with scientifically-proven supporting claims. Graduated with distinction in Biomedical Engineering at she qualified as a professional Engineer. Cecilia joined Clariter since 2013 as a functional analyst at first and as an Operations Manager in her current role. Cecilia has also achieved a PHD in Mathematical methods and models for science and technology where she practiced her experience as a Technological Promoter where she used her theoretical knowledge and built further technical skills useful for her career. 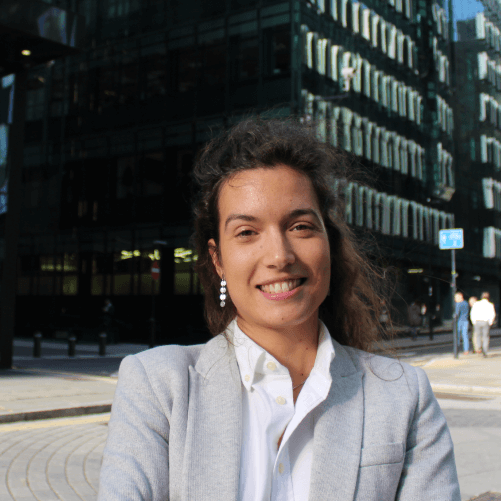 Graduated with distinction in Economics and Management from Tor Vergata School of Economics, Manuela joined the Clariter team in January 2017. 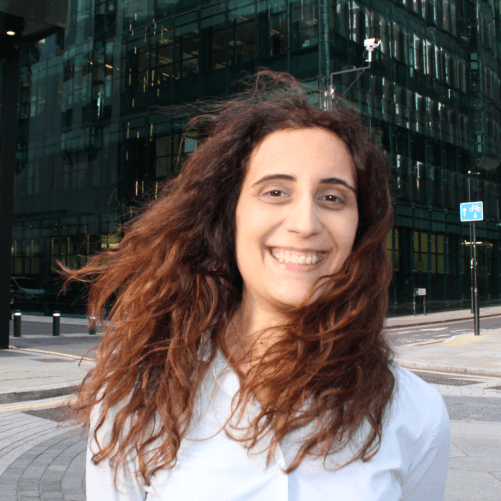 She has over two years of experience built between Rome and London where she gained valuable lessons in strategy, digital marketing and crowdsourcing management. She is in charge of developing new services, managing the relationship with clients and analysing operations to improve the Clariter methods and processes. Graduated in Economics and Management in Italy, with a study abroad program in Lisbon, he also has a bachelor degree in Economics and Commerce. Michele joined Clariter in mid 2018 as an Operations Manager. 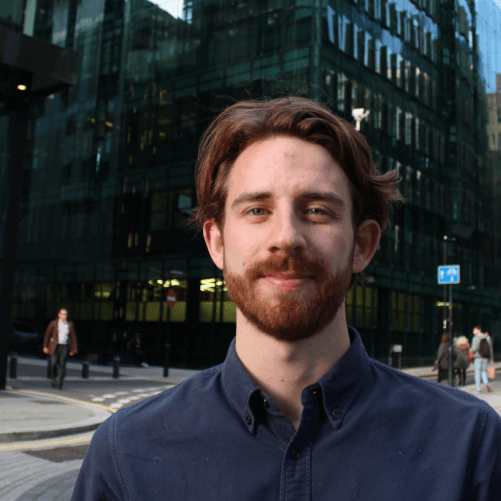 He’s focused in setting-up and managing weekly Crowdtesting Campaigns, identifying business opportunities in the UK market through the analysis of Clients’ needs, identifying financial need and forecasting budget and designing and building new crowd services as well as managing anti-fraud operations.